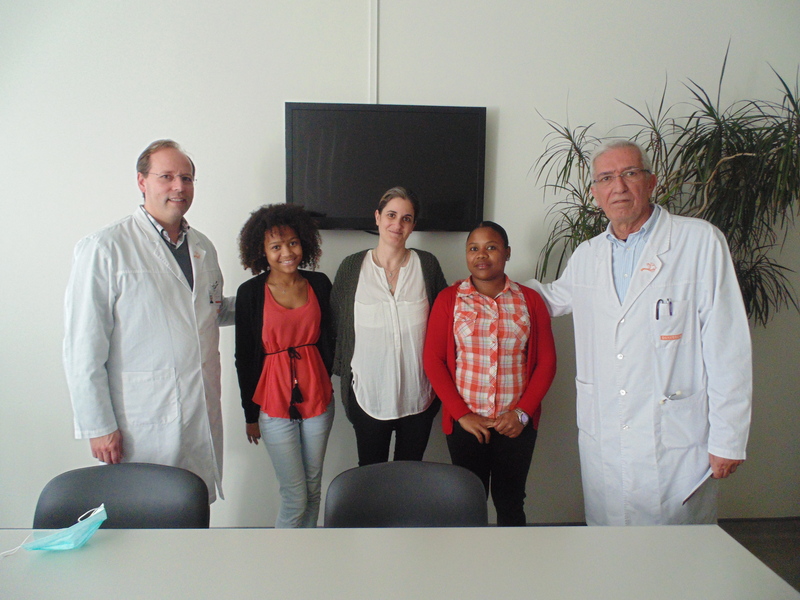 Larisa da Graça Gomes (24) was a dialysis patient at the Diaverum clinic of Prelada. Having been registered in the list of donor transplants and waiting nearly a year without a compatible organ becoming available, the possibility of her mother donating a kidney was raised. Medical examinations were performed, which showed Sónia’s kidney would probably be accepted well by Larisa’s body. From a medical point of view there were no obstacles to performing the transplant, but Larisa´s mother lives in Cabo Verde. That made it kind of unique case. Therefore, from a legal point of view, jurisprudence was required. How many years have you been in Portugal? Larisa: For six years. I came here to study. I came to study management informatics. For three years I have been undergoing dialysis here in the Prelada unit. Do you intend to continue studying after your recovery? Larisa: Yes, I plan on continuing my studies. The chance that my mom might stay here gives me renewed strength. What did you feel when you knew you were suffering from chronic renal insufficiency? Larisa: Nothing. I wasn’t able to feel anything. How was your disease detected? Larisa: I was sick, but only with a cold. Since I had never done any tests, the family doctor thought it was good to send me for some, and in these tests they saw that my blood pressure was too high for my age. From there, I did a number of other tests and was sent to St. António Hospital. It took some time before I was able to start dialysis, around a year. During this time I went for more consultations and underwent some more tests. What did the environment here at the clinic feel like? Larisa: The environment here at the clinic was very good, very welcoming. For me it was nothing less than a second family! I said little, but the doctors and nurses observed me a lot. I felt that everyone was working towards my recovery. Joana ( Social worker): I remember very well when Larisa started at the clinic. Once she ran away. The doctor told her not to travel but she went to Cabo Verde anyway. When she arrived at Cabo Verde, she didn’t tell her family what was going on. When she returned to Portugal, she was immediately started on dialysis. It was always difficult for Larissa to accept the treatment. Over a period of three years, her acceptance of the treatment never happened; she never dealt with the problem up-front. Larisa was in denial until the transplant. There were some obstacles to the treatment that she herself created. Larisa, did you continue to study while undergoing treatment? Larisa: The beginning of the treatment coincided with the time when I had just graduated, and it was then that I started working. 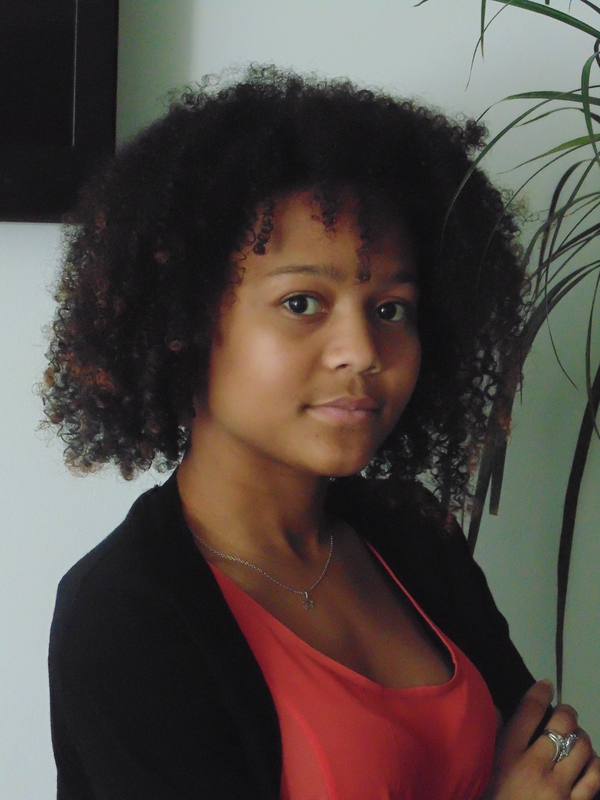 Joana – (Social Worker) – She had just graduated and started working. She started working at a shopping , but then began to get very tired and couldn’t take it. At this time, she lived with her aunt, who was looking after her. So she left the job and then later started a modelling course, which she ended up leaving because she was not motivated to continue. João, what does someone in your role feel, when you see a person so young undergoing dialysis? Head Nurse João: Ever since I started as a nurse, she was the youngest person I had ever seen start dialysis here at the clinic. We were all anxious. The feeling is that a “baby” has arrived that we have to take care of. Larisa doesn’t talk a lot. We felt we had to help her, in every possible way. Did you all play a key role in Larisa’s transplant process? Joana – (Social Worker): I’m very familiar with the details of all the cases that we have here, but this one had some peculiarities as it was a case involving, an immigrant with social and economic needs. Mrs Sónia was in Cabo Verde and a number of exchanges were necessary, and during a long period of time there were a number of very complicated bureaucratic procedures. It was a process where we were always in touch with her and with the embassy, but even so it took a long period of time. Larisa’s trips to Lisbon for tests were also ensured and achieved with everyone’s help. It was a process that we monitored together with the social worker at the Cabo Verde embassy, Dr Maria da Luz, who was always available and was always helpful. Mrs Sónia ( Larisa mother), do you feel that if it were another family member or a complete stranger your willingness to donate would be the same? Sónia: Yes, I think so. I always feel the need to do the right thing. Sometimes I think about the complications that may arise, but fortunately I am well and that is what is important. Larisa, do you feel that what your mother did was an act of love? Larisa: I have no doubt about it. It was an act of love that I will remember forever and which changed my life. Thank you all for the nice interview! Next Post How do kidney diseases in kids start?